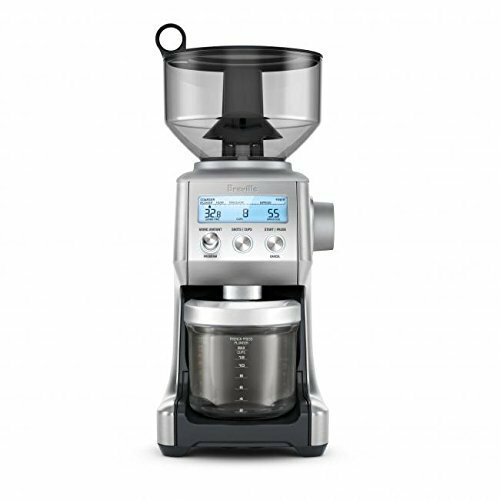 The Baratza Forte is available in two configurations; the AP or All-purpose and the BG or Brew Grinder. 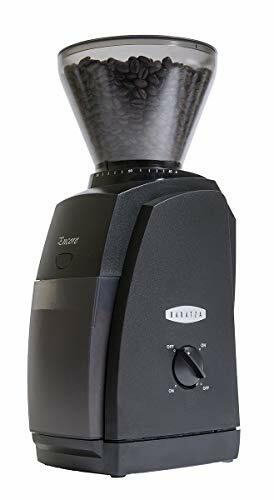 Both versions of the Baratza Forte are compact, practical, commercial-grade grinders suitable for a variety of different settings. Both models have full metal construction for durability, a small footprint, and easy-to-use controls to limit the time required for staff training. 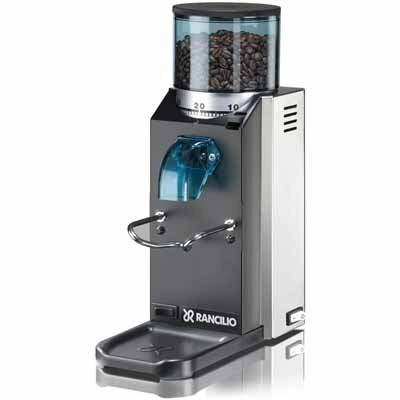 Coffee Shop, Restaurant, Or Office Grinder – Your Choice! 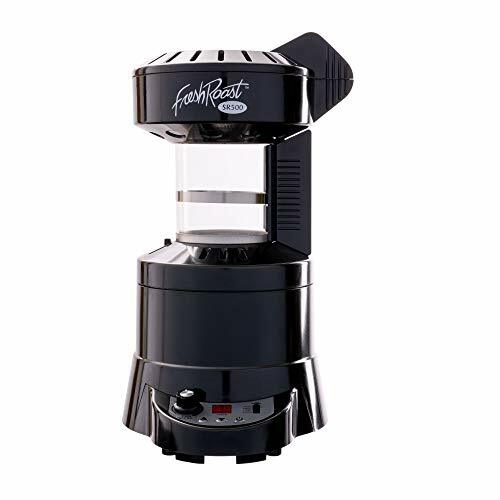 The Forte is a fairly small grinder, and works well in a restaurant setting, for an office espresso or coffee bar, or as a dedicated grinder in a larger coffee shop. 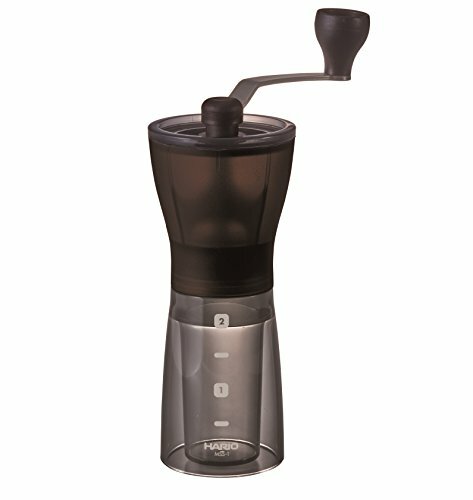 The hopper holds 300 grams of coffee beans, but an extender is available to increase its size. The small size is as at home in a professional setting or a home setting; it has a petite footprint, and is short enough to fit comfortably under upper cabinets in a home or office kitchen. The Forte AP grinds coffee from coarse to fine using a 54mm flat ceramic burr. 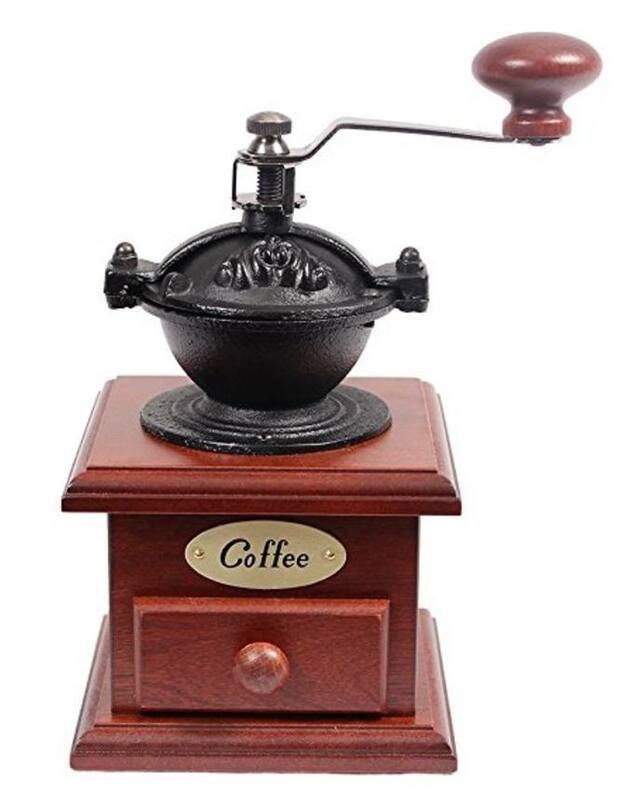 The AP is designed to prepare coffee for a variety of different brewing methods, from espresso to drip coffee. 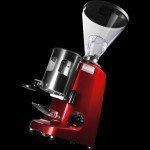 The Forte All-purpose can grind in three different ways: by time, by espresso dosing, or by weight. A grounds bin allows for grinding by weight, while a portaholder supports dose grinding. For espresso use, the Forte-AP converts weight presets into timed values, accurate to within half a gram. 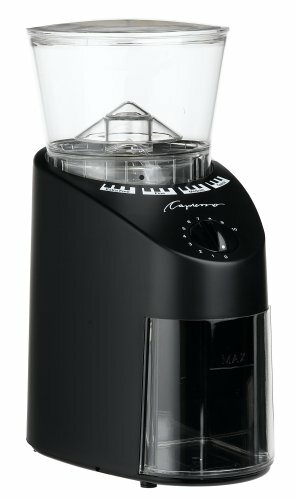 Accuracy is a distinct plus of this grinder; there’s no question of correct grinds or coffee amounts. While the scale is quite accurate, the placement does not support weight-based dosing in the porta-filter. Beans can be placed into the hopper, with or without the available extender, for use when needed. A custom collar enables removal of the hopper with very little loss or waste. An intuitive interface with touch screen enables three preprogrammed controls, as well as up, down, tare, manual, start and stop settings. In total, there are some 230 available settings on the Forte-AP. Burr grinding settings allow for both macro adjustments from coarse to fine and micro adjustments within those settings. Both macro and micro adjust have repeatable settings, with 10 macro adjustments and 26 micro adjustments available. Grind size varies from 230 to 1150 microns. 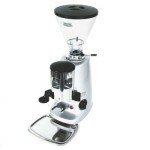 Grinding is quick, with a double shot in the porta-filter grinding in under seven seconds, and grinding for a full pot by weight takes around 20 seconds. The burr is removable for cleaning and maintenance, using a cast zinc tool included with the grinder. The metal finishes of the Baratza Forte wipe clean easily. The Forte also includes a calibration tool. While the grinder comes fully calibrated for high-quality grinds, recalibration on-site is a simple process. The grinder should not be inverted during cleaning, as it will damage the calibration; use a small vacuum instead. 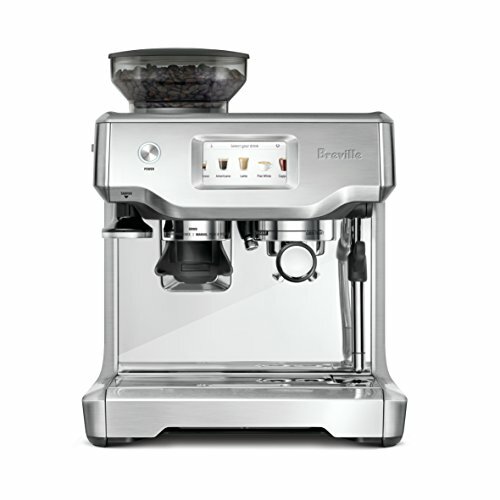 Watch this video review of the Baratza Forte AP by the fine folks at Whole Latte Love. 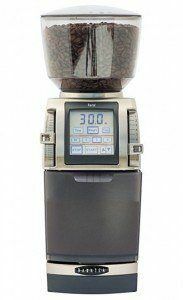 The Forte-BG offers many of the features of the Forte-AP; however, it is designed solely for medium to coarse grind brewing methods. It uses a 54 mm metal burr, rather than the ceramic burr in the Forte-AP. The burrs are not interchangeable between the two grinders. It relies upon weight-based grinding; this is more efficient and effective in a variety of different settings. The Forte-BG is easier to operate and requires less training than the Forte-AP; however, it does not support fine grinds. Commercial features in the both the Forte-BG and Forte-AP include a metal grinding chamber, threaded burr holder, larger gear-to-belt ratio and a higher-power motor. Both models offer quiet operation, with slow rotation to limit heat transfer. While designed for commercial use, these grinders are also an excellent choice for a high-quality home grinder. Both the Forte-AP and Forte-BG offer high quality, metal construction, durability and excellent customer support. 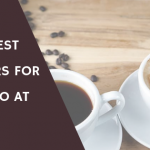 The BG is an excellent choice if you prefer brewed or pressed coffee, but lacks the ability to grind very finely for espresso. 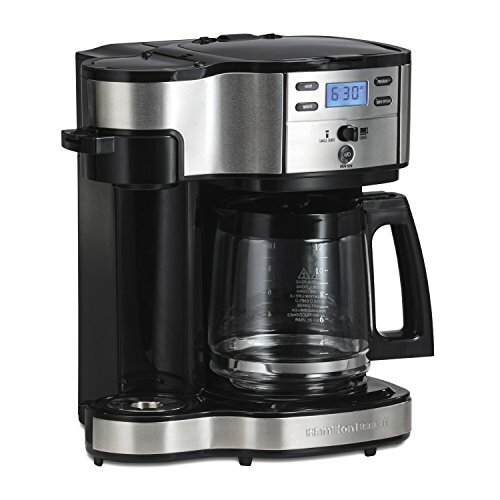 The AP works well for brewed and pressed coffee or for espresso. Watch this video from Baratza that talks about both the AP and the BG grinders. 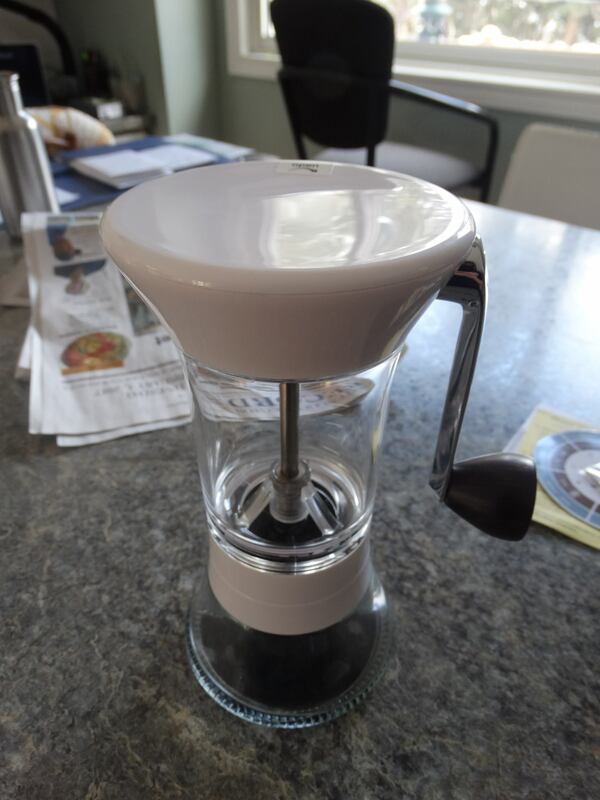 Mazzer Grinders – We Review The Mini, Super Jolly, Robur, And More!